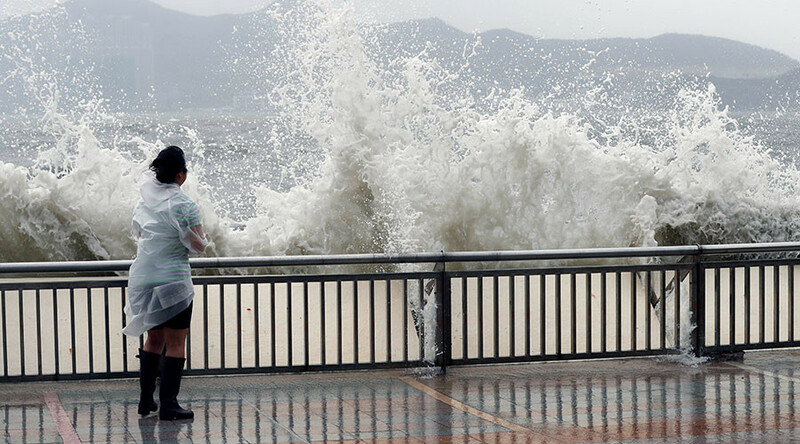 Typhoon Hato killed at least 12 people and left a wave of destruction in Macau and Hong Kong on Wednesday. A man died in Macau when he was swept into a wall, while another man was hit by a truck and another fell from the 11th floor in Macau, the Macau Daily Times reports. A man and a woman died after water flooded an underground car park in Macau, the South China Morning Post reports. More than 150 people were treated for injuries in Macau hospitals, the South China Morning Post reported. Two people have been reported missing. No deaths have been reported in Hong Kong. The level 10 warning typhoon Hato headed towards Hong Kong Wednesday morning, coming within 37 miles of land before heading west towards China, where it lost some of its strength. Schools, businesses and the stock market were forced to close in Hong Kong, and flights were canceled. The typhoon caused severe flooding in the streets of Macau. The gambling hub was forced to rely on backup generators to power its casinos. People were evacuated from the Chinese cost before the storm arrived, while boats were brought back to harbour.